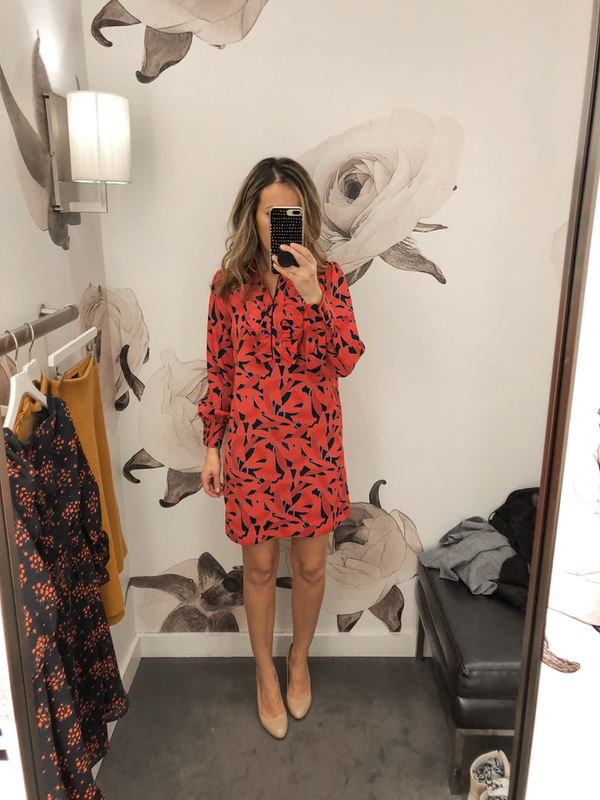 Ann Taylor had some amazing new arrivals (and not all were out yet at the store). And I have a few that I can’t wait to get my hands on now that there is a sale. And it finally started today – 40% off your purchase w/code FRESHPICKS. Before I go on, most pieces from these snaps and these are on sale + extra 60% off. This dress in now only $16 (orig. 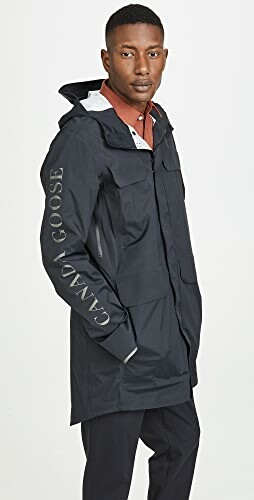 $150). 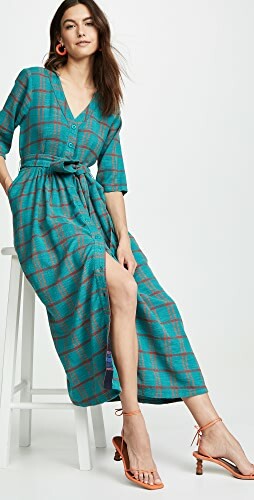 And this pretty dress is also on major sale…I got mine a while back and can’t wait to wear it. 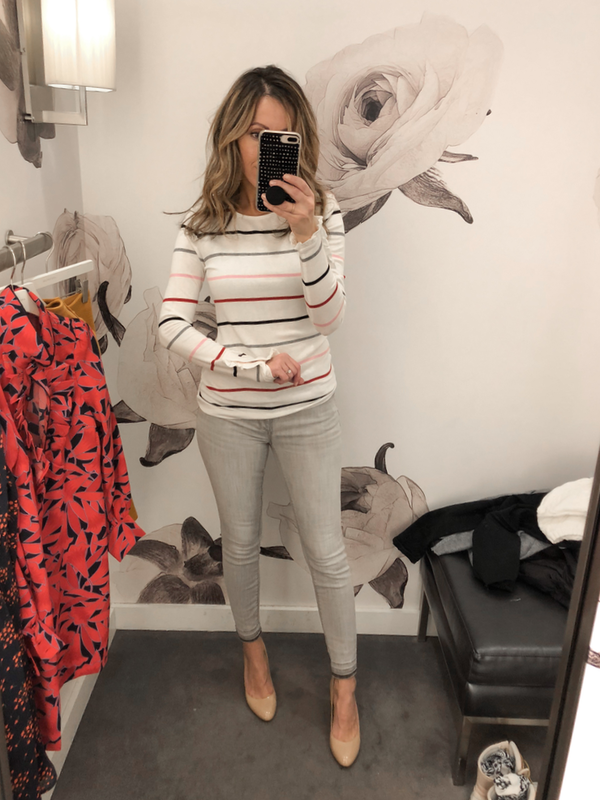 This sweater is in top three pieces I tried on and would like to find in my closet 😉 Tried on xs and the fit was good. Not too fitted, not too loose. The “peplum” part wasn’t flaring out much, but just falls nicely. Just beautiful sweater! Loved the color of these jeans. 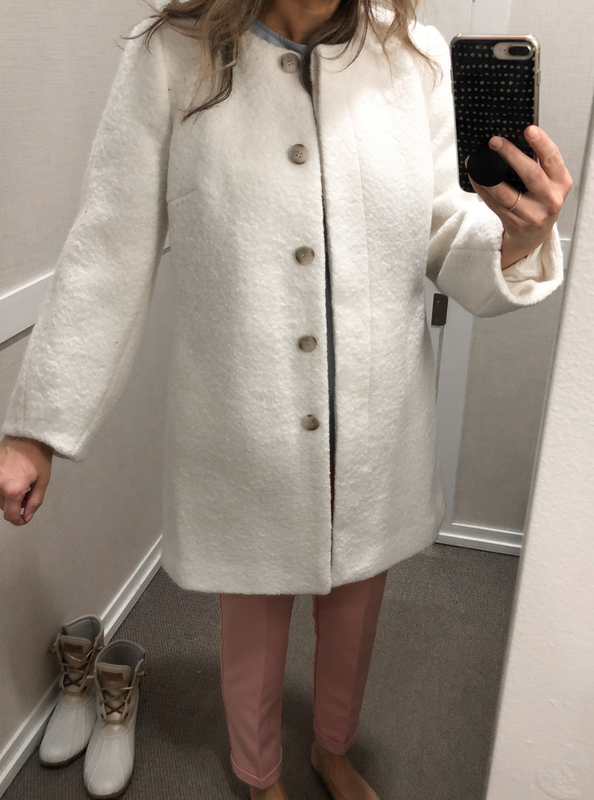 I tried on size 2 and the fit was good (remember these as seen in this post I had to size down. These gray ones are more tts). 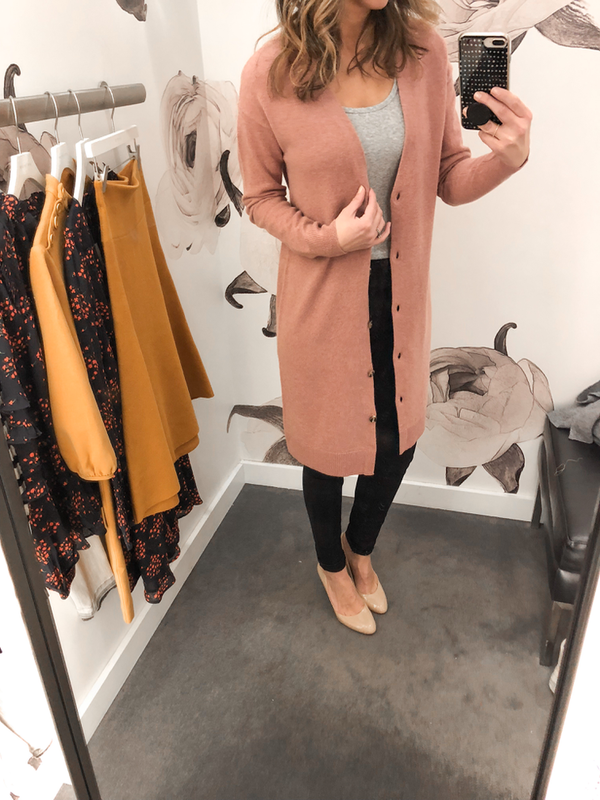 As soon as I saw this cardigan I immediately had outfit ideas in my head lol. Cute with booties are heels but I had cute flats in mind (once it get warmer of course). 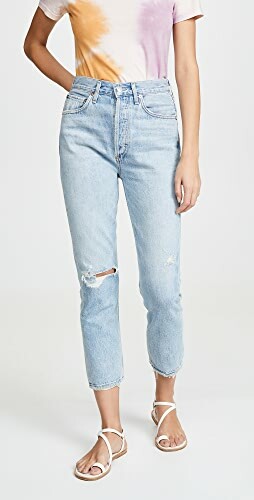 Also pair with jeans, a plain tee and cute sneakers. The color is very pretty and the length was perfect. Tried on xs and it fits tts. 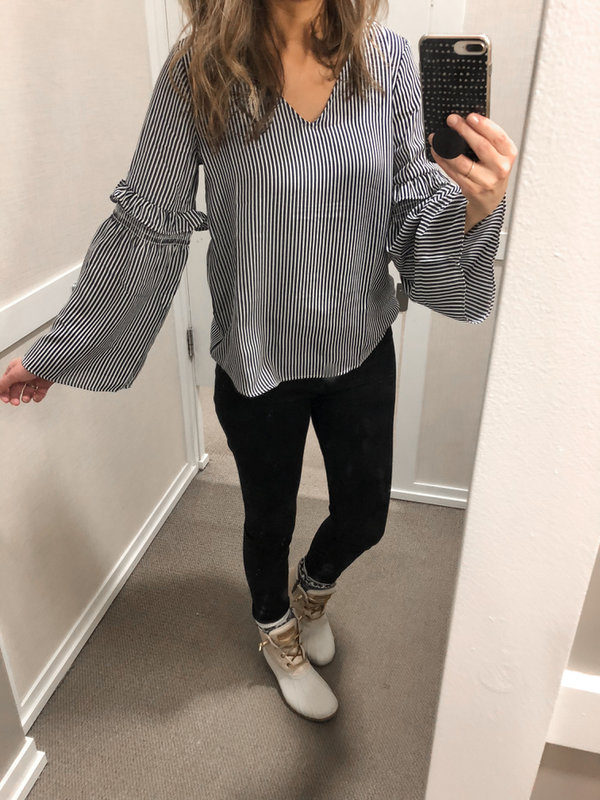 Another very cute light sweater with pretty but subtle sleeve details (scroll below this pic to see the sleeve details). Tried on xs and it fits tts. Not too tight/fitted. If you want a more relaxed fit, size up. It a little longer than many sweaters these days which is nice. Can be tucked into skirts without feeling bulky. Easily dressed up or down. Loved this one too! And the price is great (especially with the 40% off). 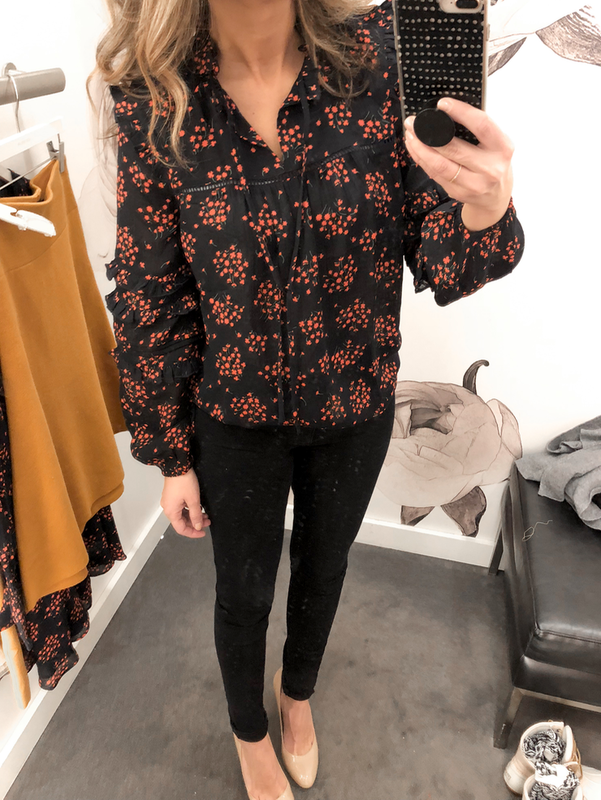 I didn’t think I was going to like this blouse but omg…it looks so beautiful on in person (this picture doesn’t do it any justice). 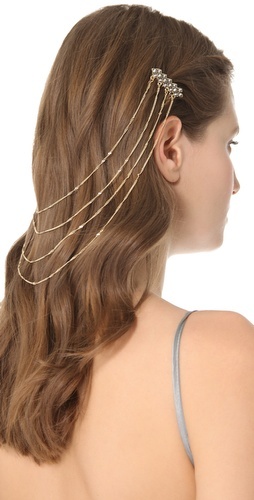 This is one of the top three pieces I need would like to add to my closet. The ruffle details on the sleeves are subtle..they blend nicely with rest of the top. 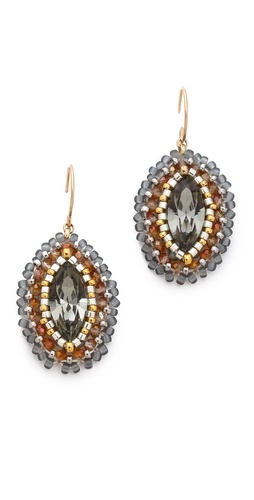 It’s one of those pieces you throw on with jeans for a casual but put together chic look. Works with just about any bottoms. Tried on xs, runs tts. 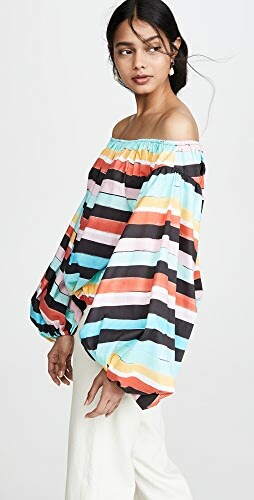 It also comes in two solid colors where the ruffle details are a tad more noticeable. This skirt is for all of us that love mustard colored pieces but can’t pull off wearing this color in tops (even though I did get a mustard sweater a while back. oh well). It’s sweater material but not overly thick. I tried xs and while it does fit ok it was a bit too fitted on hips/backside for my liking. 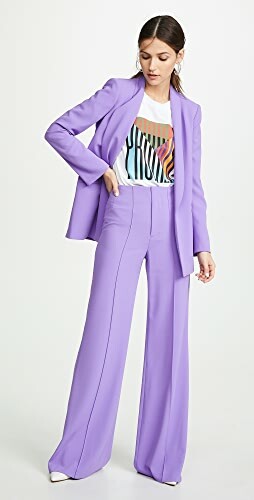 If I get it, I personally might go up a size. Sweater skirts usually run a tad small. 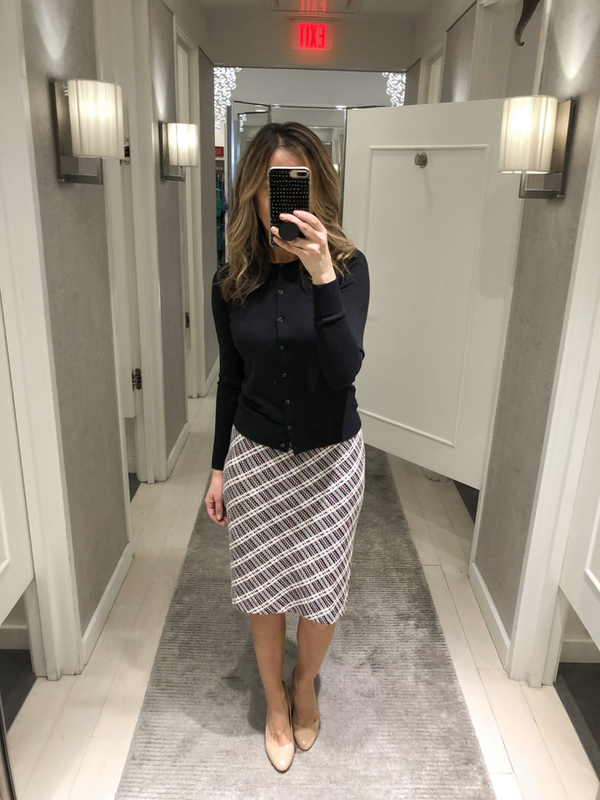 This pencil skirt definitely ran small. I tend to be in between sizes in skirts at Ann Taylor. Lately size 2 has been too huggy around the hips/backside. This is size 4 and it was very fitted…material is stretchy so it hugs everything. It looks fine from the front but it was too fitted on the backside. Beautiful dress but too short for me (it looks longer in this picture). But it does come in Tall. Tried on size xsmall and it was just tad loose around the waist. I wouldn’t way it was unflattering as it still falls nicely. Another pretty but short dress (I’m 5’6″ for ref.) Unfortunately, this one doesn’t come in Tall. 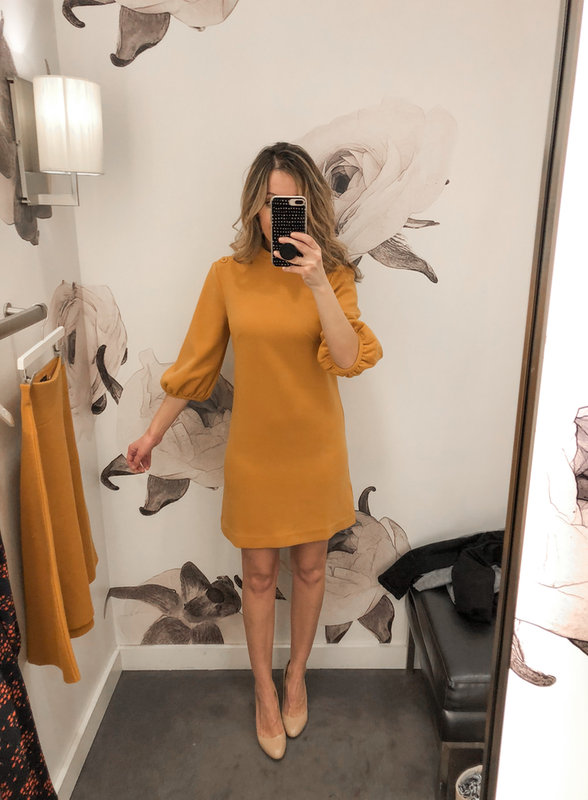 Puff Sleeve shift dress (also comes in navy) – another short dress but it does come in Tall. 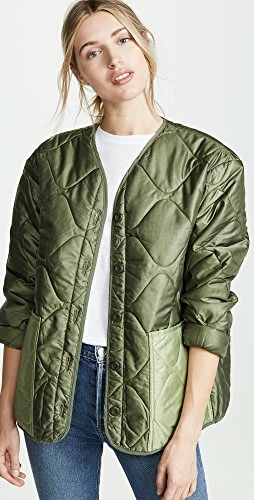 It has cute shoulder button details. LOFT didn’t have as many cute pieces in store as Ann Taylor. But there is plenty cute ones online. Loved this top. Tried on xs and the fit was good. The bell sleeves were not over-the-top. 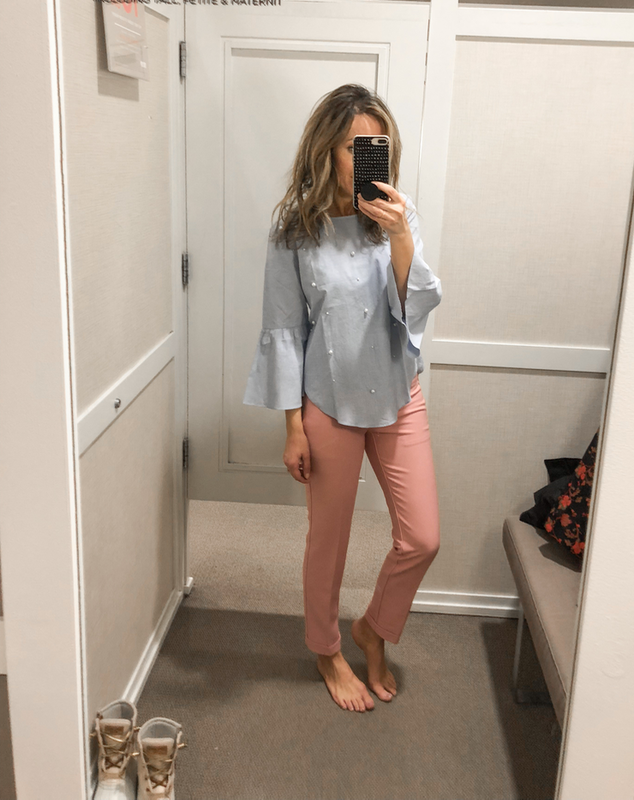 Another cute top…loved the pearl details. 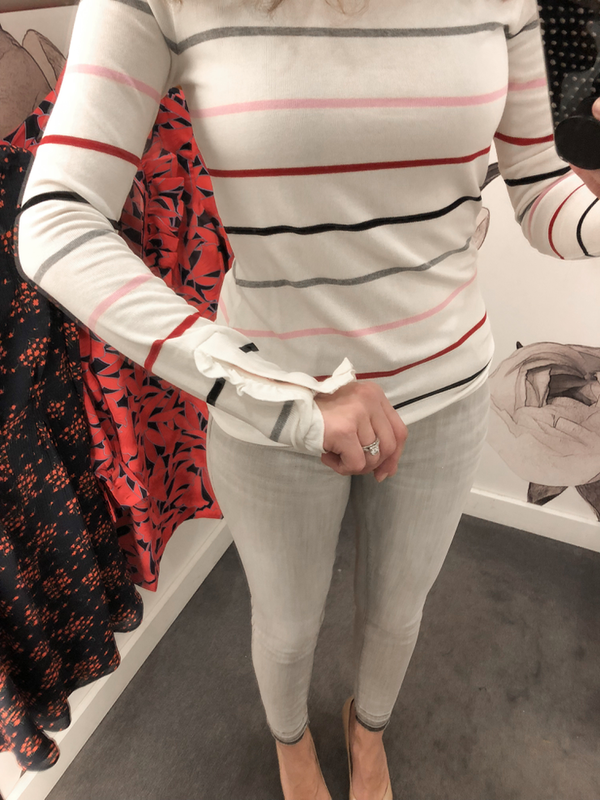 Tried on xs and the it fits tts. 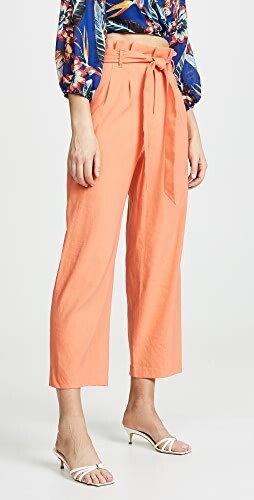 Loved the color of these pants! I actually can’t remember if I tried on 0 or 2. Talk about statements sleeves! 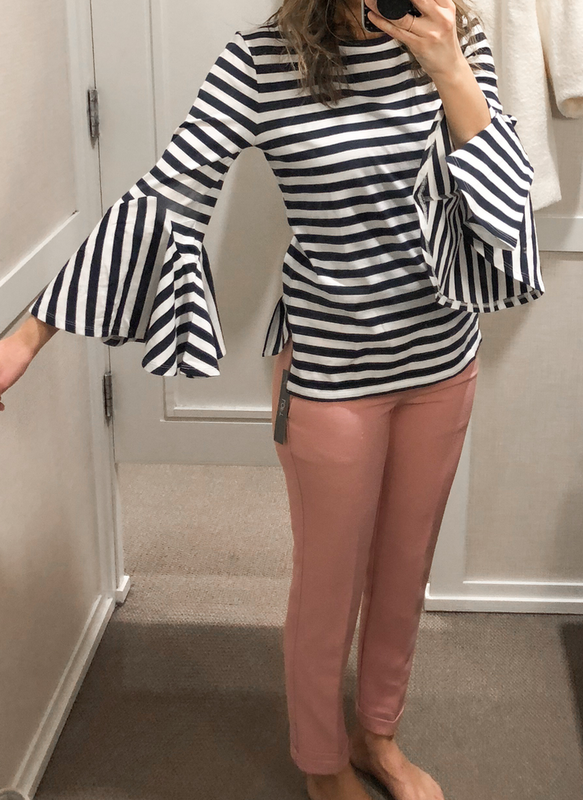 The top is cute (hello stripes) but the sleeves definitely make a statement. Tried on xs, fit was good. 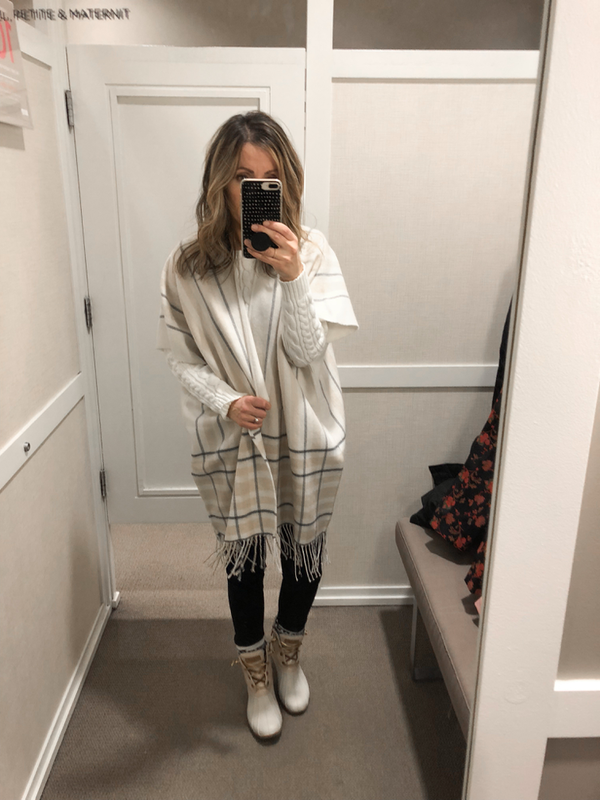 Plaid Fringe Poncho – pretty subtle colors. Feels soft. 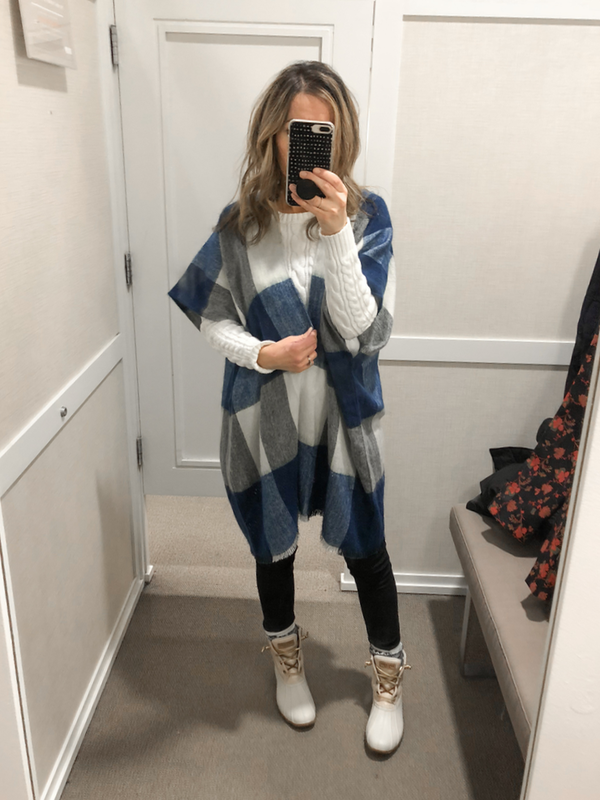 Plaid Poncho – loved the colors of this poncho. It was a bit thinner than the one above. 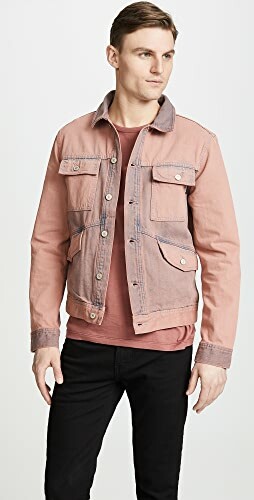 Blouson Coat – pretty color and style. 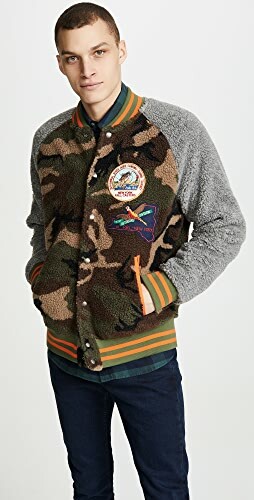 I didn’t care for the blouson sleeves. 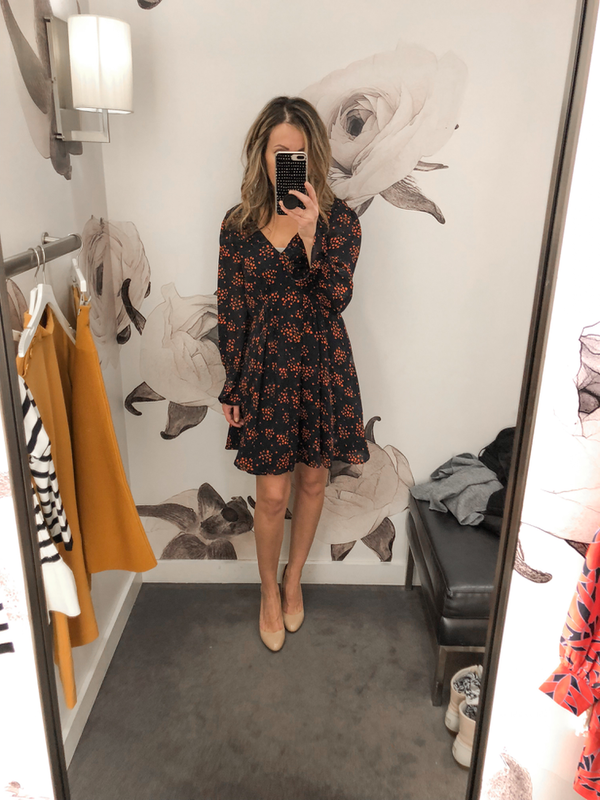 Check out my last fitting room snaps and previous ones with some pieces on sale + extra 60% off. Which pieces are your favorite?? You had me at stripes lol! 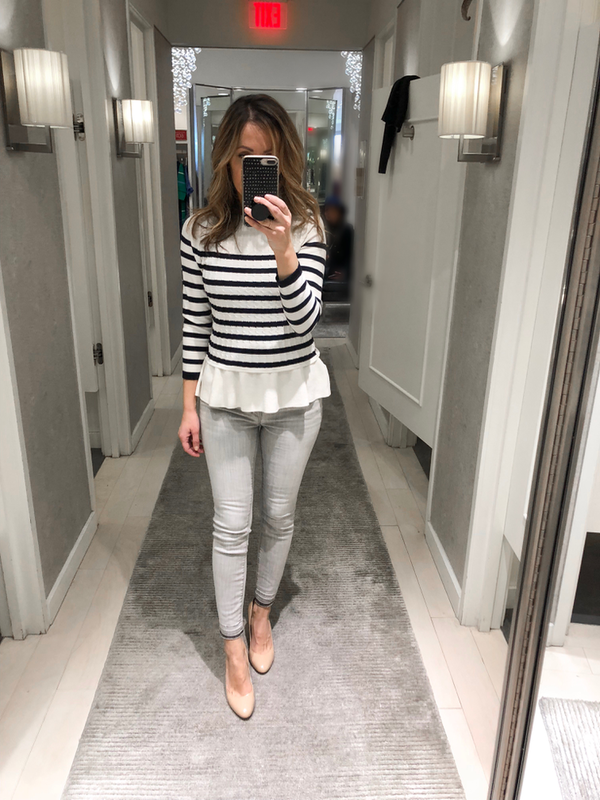 I love the two tops you featured from Ann Taylor. I think the things you tried on at Ann Taylor look better on you than the models on their site! That is a store that flatters your figure. You don’t look bad in anything there! Oops! Hit publish by mistake, lol! I really like the little stripe top, it’s delicate and classy.I’m also thrilled to see we have the same duck boots! I just ordered the striped sweater, I loved it! also up at the top you put a dress that is only $16 but there is no link to click on, I love all those pieces though! Great picks. Every piece is super cute and you look lovely in them. Shop Navy Blue Blouses Tops, Black Heel Booties, Printed Jumpsuits, Off White Pumps and more. Get this widget.